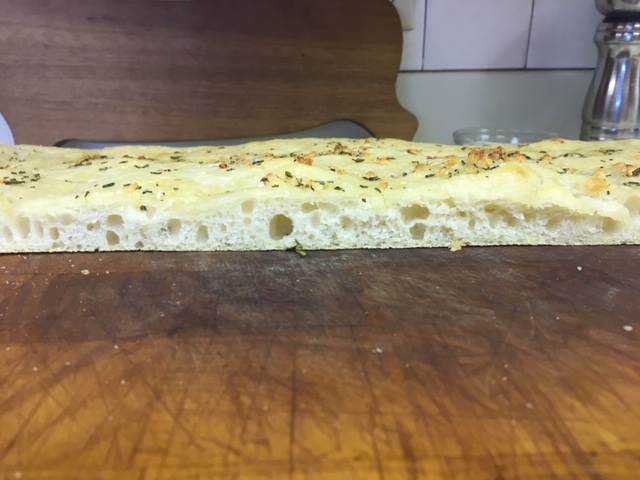 For some reason the focaccia stuck to the sheet pan despite the pan being well greased. Also got very little rise. Maybe the half sheet pan I used was too big? On the bright side it actually tastes good! As “failures” go, that doesn’t look bad at all. Looks good to me too. Thin is a more traditional style, but you can bump the ingredient amounts up by 20% or something to go thicker.